After it is transcribed from DNA, RNA can go on to many fates. While the most familiar path may lead directly to the production of protein, RNA molecules themselves can also become capable of altering the expression of genes. New research helps explain how the destiny of an RNA sequence is achieved. 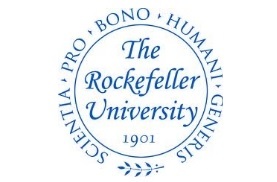 In a study published August 27 in Cell, Rockefeller University scientists and a colleague at Columbia University have identified a protein that recognizes a chemical instruction tag affixed to an RNA sequence, an important step in the decision-making process. The tag, called m6A, is a methyl group attached to a particular part of an adenosine, a component of RNA’s sequence. In previous work, Alarcón and colleagues identified the m6A tag as an important regulator of the production of microRNAs. The “writer” protein that places this tag was already known to mark RNA molecules that need to be spliced before they are translated into proteins. 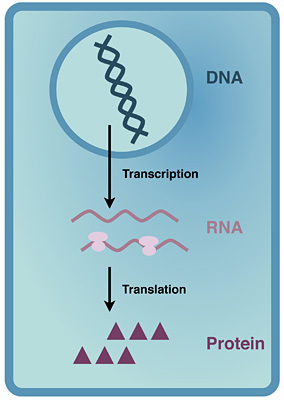 Many genes contain sections that must be cut out, and the RNA splicing process is crucial to the function and identity of a cell. The recent experiments show that the newly discovered reader, a protein known as HNRNPA2B1, recognizes m6A tags on RNA destined for two separate fates: Trimming to become microRNAs or splicing for proper production into protein. After recognizing m6A tags on microRNA precursors, HNRNPA2B1 then recruits the cutting machinery responsible for further trimming and processing those RNA molecules. Future work is required to understand how HNRNPA2B1 interacts with the proteins involved in the splicing of RNA. The researchers suspected that the HNRNPA2B1 protein acts as a reader because they found it frequently binds to the same sites on the RNA molecule where the m6A tag attaches. To determine what the alleged reader was doing there, the team reduced its presence in cells. In cells with reduced HNRNPA2B1 levels, they found a shift in the expression of microRNAs overall, with many microRNAs reduced. They also looked at the effects on RNA destined for splicing. Here too, they found telling changes in the splicing of different RNA molecules that are dependent on m6A tags. HNRNPA2B1 is the first m6A nuclear reader to be identified, and evidence from the experiments suggests the existence of additional readers within the nucleus that also recognize this tag. How did life on Earth begin? It’s been one of modern biology’s greatest mysteries: How did the chemical soup that existed on the early Earth lead to the complex molecules needed to create living, breathing organisms? Now, researchers say they’ve found the missing link. Between 4.6 billion and 4.0 billion years ago, there was probably no life on Earth. The planet’s surface was at first molten and even as it cooled, it was getting pulverized by asteroids and comets. All that existed were simple chemicals. But about 3.8 billion years ago, the bombardment stopped, and life arose. Most scientists think the “last universal common ancestor” — the creature from which everything on the planet descends — appeared about 3.6 billion years ago. But exactly how that creature arose has long puzzled scientists. 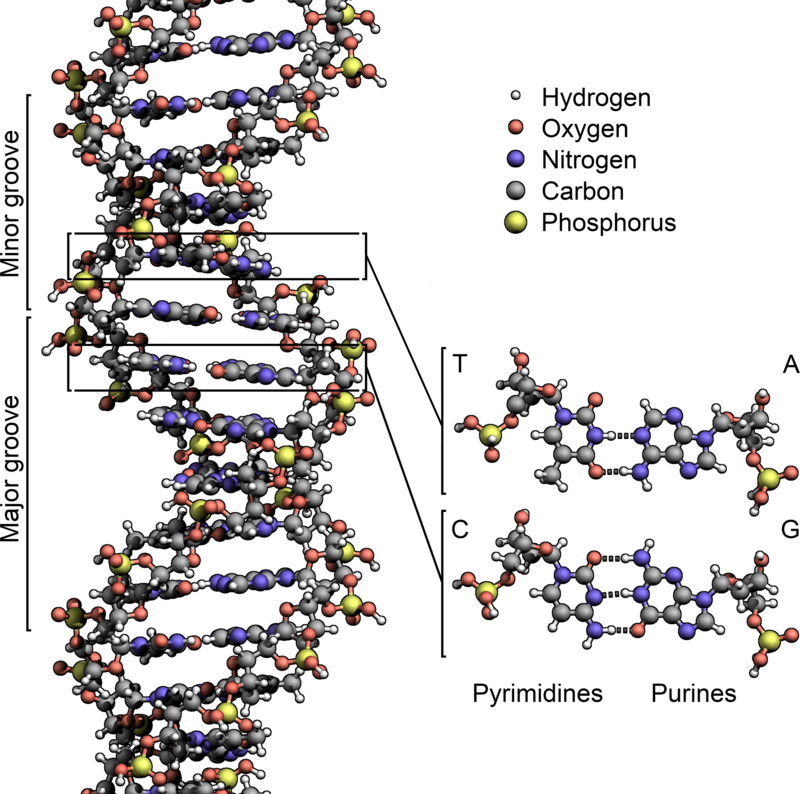 For instance, how did the chemistry of simple carbon-based molecules lead to the information storage of ribonucleic acid, or RNA? This link would bridge this gap in knowledge between the primordial chemical soup and the complex molecules needed to build life. Current theories say life on Earth started in an “RNA world,” in which the RNA molecule guided the formation of life, only later taking a backseat to DNA, which could more efficiently achieve the same end result. The idea was that the very first RNA molecules formed from collections of three chemicals: a sugar (called a ribose); a phosphate group, which is a phosphorus atom connected to oxygen atoms; and a base, which is a ring-shaped molecule of carbon, nitrogen, oxygen and hydrogen atoms. RNA also needed nucleotides, made of phosphates and sugars. 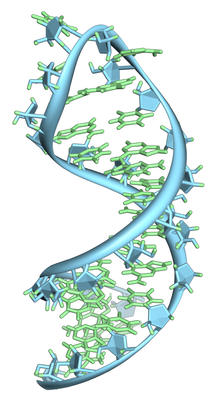 The question: How did the nucleotides come together within the soupy chemicals to make RNA? John Sutherland, a chemist at the University of Cambridge in England, published a study in May in the journal Nature Chemistry that showed that a cyanide-based chemistry could make two of the four nucleotides in RNA and many amino acids. That still left questions, though. There wasn’t a good mechanism for putting nucleotides together to make RNA. Nor did there seem to be a natural way for amino acids to string together and form proteins. Today, adenosine triphosphate (ATP) does the job of linking amino acids into proteins, activated by an enzyme called aminoacyl tRNA synthetase. But there’s no reason to assume there were any such chemicals around billions of years ago. Also, proteins have to be shaped a certain way in order to function properly. That means RNA has to be able to guide their formation — it has to “code” for them, like a computer running a program to do a task. In one of the new studies, Carter looked at the way a molecule called “transfer RNA,” or tRNA, reacts with different amino acids. They found that one end of the tRNA could help sort amino acids according to their shape and size, while the other end could link up with amino acids of a certain polarity. In that way, this tRNA molecule could dictate how amino acids come together to make proteins, as well as determine the final protein shape. That’s similar to what the ATP enzyme does today, activating the process that strings together amino acids to form proteins. 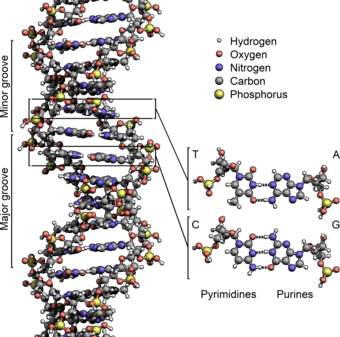 Carter told Live Science that the ability to discriminate according to size and shape makes a kind of “code” for proteins called peptides, which help to preserve the helix shape of RNA. “It’s an intermediate step in the development of genetic coding,” he said. In the other study, Wolfenden and colleagues tested the way proteins fold in response to temperature, since life somehow arose from a proverbial boiling pot of chemicals on early Earth. They looked at life’s building blocks, amino acids, and how they distribute in water and oil — a quality called hydrophobicity. They found that the amino acids’ relationships were consistent even at high temperatures — the shape, size and polarity of the amino acids are what mattered when they strung together to form proteins, which have particular structures. “What we’re asking here is, ‘Would the rules of folding have been different? '” Wolfenden said. At higher temperatures, some chemical relationships change because there is more thermal energy. But that wasn’t the case here. By showing that it’s possible for tRNA to discriminate between molecules, and that the links can work without “help,” Carter thinks he’s found a way for the information storage of chemical structures like tRNA to have arisen — a crucial piece of passing on genetic traits. Combined with the work on amino acids and temperature, it offers insight into how early life might have evolved. This work still doesn’t answer the ultimate question of how life began, but it does show a mechanism for the appearance of the genetic codes that pass on inherited traits, which got evolution rolling. The two studies are published in the June 1 issue of the journal Proceedings of the National Academy of Sciences. Molecular sorting machine: Scientists found the enzyme METTL3 (green) tags a particular sequence within RNA molecules destined to become gene-regulating microRNAs. While this happens within cells’ nuclei (blue), METTL3 is also found outside the nucleus in cells’ cytoplasm, as shown above. Just as two DNA strands naturally arrange themselves into a helix, DNA’s molecular cousin RNA can form hairpin-like loops. But unlike DNA, which has a single job, RNA can play many parts — including acting as a precursor for small molecules that block the activity of genes. These small RNA molecules must be trimmed from long hairpin-loop structures, raising a question: How do cells know which RNA loops need to be processed this way and which don’t? New research at Rockefeller University, published March 18 in Nature, reveals how cells sort out the loops meant to encode small RNAs, known as microRNAs, by tagging them with a chemical group. Because microRNAs help control processes throughout the body, this discovery has wide-ranging implications for development, health and disease, including cancer, the entry point for this research. Long known as the intermediary between DNA and proteins, RNA has turned out to be a versatile molecule. Scientists have discovered a number of RNA molecules, including microRNAs that regulate gene expression. MicroRNAs are encoded into the genome as DNA, then transcribed into hairpin loop RNA molecules, known as primary microRNAs. These loops are then clipped to generate microRNA precursors. 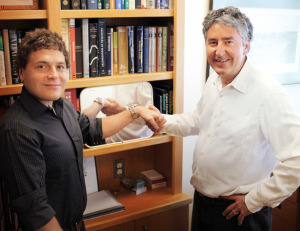 To figure out how cells know which hairpin loops to start trimming, Alarcón set out to look for modifications cells might make to the RNA molecules that are destined to become microRNAs. Using bioinformatics software, he scanned for unusual patterns in the unprocessed RNA sequences. The sequence GGAC, code for the bases guanine-guanine-adenine-cytosine, stood out because it appeared with surprising frequency in the unprocessed primary microRNAs. GGAC, in turn, led the researchers to an enzyme known as METTL3, which tags the GGAC segments with a chemical marker, a methyl group, at a particular spot on the adenine. In series of experiments, the researchers confirmed the importance of methyl tagging, finding high levels of it near all types of unprocessed microRNAs, suggesting it is a generic mark associated with these molecules. When they reduced expression of METTL3, unprocessed primary microRNAs accumulated, indicating that the enzyme’s tagging action was important to the process. And, working in cell culture and in biochemical systems, they found primary microRNAs were processed much more efficiently in the presence of the methyl tags than without them. 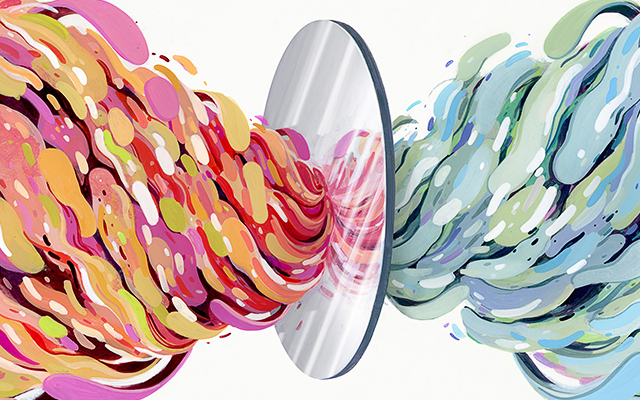 The mirror-image asymmetry of life is one of the biggest mysteries in biology. 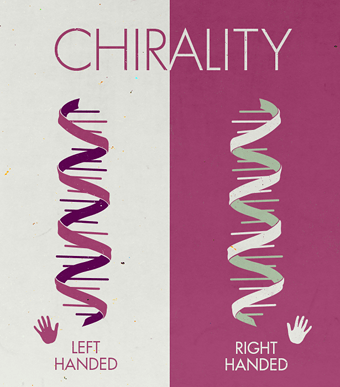 Many molecules come in mirror-image forms, known as left-handed and right-handed. A chemical process will create both forms of a given molecule, but a biological processes will produce just one. 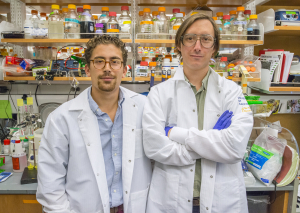 Gerald Joyce (right), a biochemist at the Scripps Research Institute, and postdoc Jonathan Sczepanski created an RNA enzyme that can replicate in an entirely new way. Courtesy of The Scripps Research Institute. The new ribozyme nearly fulfills the most basic properties of life — the ability to replicate and to evolve. A powerful scientific tool for editing the DNA instructions in a genome can now also be applied to RNA, the molecule that translates DNA’s genetic instructions into the production of proteins. 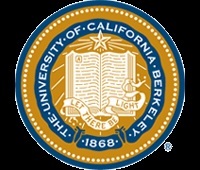 A team of researchers with Berkeley Lab and the University of California (UC) Berkeley has demonstrated a means by which the CRISPR/Cas9 protein complex can be programmed to recognize and cleave RNA at sequence-specific target sites. This finding has the potential to transform the study of RNA function by paving the way for direct RNA transcript detection, analysis and manipulation. Schematic shows how RNA-guided Cas9 working with PAMmer can target ssRNA for programmable, sequence-specific cleavage. 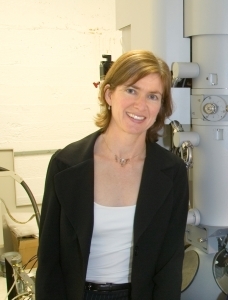 Led by Jennifer Doudna, biochemist and leading authority on the CRISPR/Cas9 complex, the Berkeley team showed how the Cas9 enzyme can work with short DNA sequences known as “PAM,” for protospacer adjacent motif, to identify and bind with specific site of single-stranded RNA (ssRNA). The team is designating this RNA-targeting CRISPR/Cas9 complex as RCas9. From safer, more effective medicines and clean, green, renewable fuels, to the clean-up and restoration of our air, water and land, the potential is there for genetically engineered bacteria and other microbes to produce valuable goods and perform critical services. To exploit the vast potential of microbes, scientists must be able to precisely edit their genetic information. In recent years, the CRISPR/Cas complex has emerged as one of the most effective tools for doing this. CRISPR, which stands for Clustered Regularly Interspaced Short Palindromic Repeats, is a central part of the bacterial immune system and handles sequence recognition. Cas9 – Cas stands for CRISPR-assisted – is an RNA-guided enzyme that handles the sniping of DNA strands at the specified sequence site. Together, CRISPR and Cas9 can be used to precisely edit the DNA instructions in a targeted genome for making desired types of proteins. The DNA is cut at a specific location so that old DNA instructions can be removed and/or new instructions inserted. Until now, it was thought that Cas9 could not be used on the RNA molecules that transcribe those DNA instructions into the desired proteins. “Just as Cas9 can be used to cut or bind DNA in a sequence-specific manner, RCas9 can cut or bind RNA in a sequence-specific manner,” says Mitchell O’Connell, a member of Doudna’s research group and the lead author of a paper in Nature that describes this research titled Programmable RNA recognition and cleavage by CRISPR/Cas9. Doudna is the corresponding author. 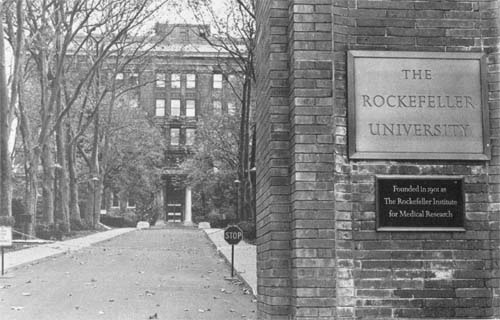 Other co-authors are Benjamin Oakes, Samuel Sternberg, Alexandra East Seletsky and Matias Kaplan. In an earlier study, Doudna and her group showed that the genome editing ability of Cas9 is made possible by presence of PAM, which marks where cutting is to commence and activates the enzyme’s strand-cleaving activity. In this latest study, Doudna, Mitchell and their collaborators show that PAMmers, in a similar manner, can also stimulate site-specific endonucleolytic cleavage of ssRNA targets. They used Cas9 enzymes from the bacterium Streptococcus pyogenes to perform a variety of in vitro cleavage experiments using a panel of RNA and DNA targets. The researchers envision a wide range of potential applications for RCas9. For example, an RCas9 tethered to a protein translation initiation factor and targeted to a specific mRNA could essentially act as a designer translation factor to “up-” or “down-” regulate protein synthesis from that mRNA. This research was primarily supported by the NIH-funded Center for RNA Systems Biology. Astrobiology Magazine is a NASA-sponsored online popular science magazine. Our stories profile the latest and most exciting news across the wide and interdisciplinary field of astrobiology — the study of life in the universe. In addition to original content, Astrobiology Magazine also runs content from non-NASA sources in order to provide our readers with a broad knowledge of developments in astrobiology, and from institutions both nationally and internationally. Publication of press-releases or other out-sourced content does not signify endorsement or affiliation of any kind. Established in the year 2000, Astrobiology Magazine now has a vast archive of stories covering a broad array of topics.